I love Champagne but the wines from Franciacorta D.O.C.G. have always held sway with me as well. 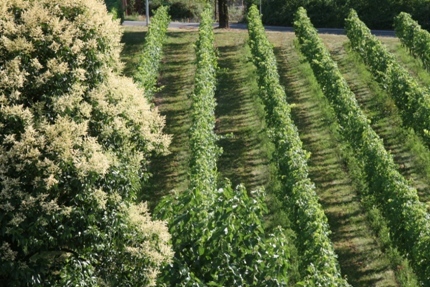 Franciacorta is an area in the Lombardy region of Italy which is sandwiched between the city of Brescia and Lake Garda. The area makes great sparkling wines using the traditional method where the wine undergoes secondary fermentation in the bottle. This is different from the charmat method used to make the ever present Prosecco. My first Italian wine in a wine class in 1997 was in fact a Saten from Franciacorta. That wine was from Bellavista, a very well known winery in the area. Years ago I met Riccardo Ricci Curbastro of the Ricci Curbastro winery. 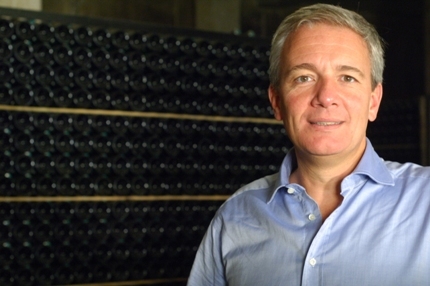 He is also President of the European Federation of Origin Wines. He is also the President of Federdoc, the National Confederation of Consortium to Protect Origin Wines. The Ricci Curbastro family began bottling wine in Capriolo in Franciacorta as far back as the 1800s. In 1967, the winery became its modern self. That same year, the Franciacorta D.O.C. was created. 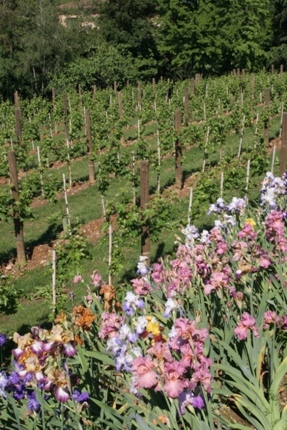 Ricci Curbastro has 28 hectares covered in vines. The family makes about 200,000 bottles a year. The family also has an agritourism and a wine museum on the property. Ricci Curbastro also owns a winery in Emilia Romagna where he produces a Sangiovese. Apparently the wines do very well in Southern Germany and Switzerland. I have always wondered why Franciacorta doesn’t sell more in the United States. I wish they were more widely exported. Riccardo began experimenting with using less sulfites and more lees extraction. All Ricci Curbastro sparkling wines spend a minimum of 30 months on their lees (yeast). The results are fantastic. Gualberto, dedicated to Riccardo’s father, is made with 70% Pinot Nero and 30% Chardonnay and is a pas dosage. Pas Dosage means that the wine is completely dry with no added sugar. It spends 72 months in the bottle before being released. I also really like the Brut 60% Chardonnay, 30% Pinot Bianco and 10% Pinot Nero as well as the Extra Brut with 50% Chardonnay and 50% Pinot Nero. The Extra Brut spends 40 months on its lees. Perhaps the wine I like the most for sentimental reasons I believe is the Saten Brut made with 100% Chardonnay. It also spends 30 months on its lees but its salient characteristic is that it has a lower bottle pressure (5 atmospheres instead of the usual 6). I always find aromas of raspberries in Saten. It is creamy and delicious and goes well with everything in my opinion. Franciacorta also produces a lot of great still wine. Some of that is making headway here in the United States under the designation Curtafranca D.O.C. Ricci Curbastro makes a Curtefranca Rosso with Cabernet Franc, Carmenere 40% and Cabernet Sauvignon, Barbera and Merlot (20% each). I love Cabernet Franc and the spicier Carmenere so this wine was a prize for me. According to Riccardo, Carmenere must be controlled by using a cold maceration or cold soak. This prevents it from expressing too many of its herbal flavors. The Curtefranca Bianco D.O.C. was also interesting, a blend of Chardonnay and Pinot Blanc. I am looking forward to seeing him again in the future. Salute!